A detective with a dark history and personal tragedy. Gritty murders in East London. Bestselling books. Next book — “WHAT DOESN’T KILL YOU” (book 3), due April 2017. 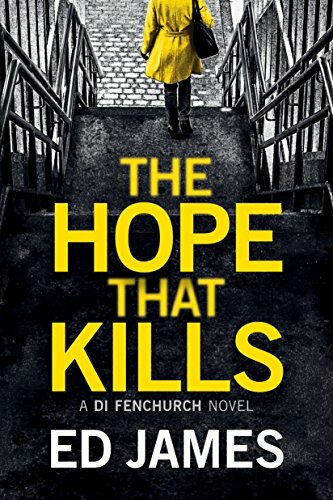 Bestselling books set in Edinburgh, featuring an ambitious young Detective Constable eager to climb the career ladder. Next book — “Heroes & Villains” (book 8), due mid-2017. 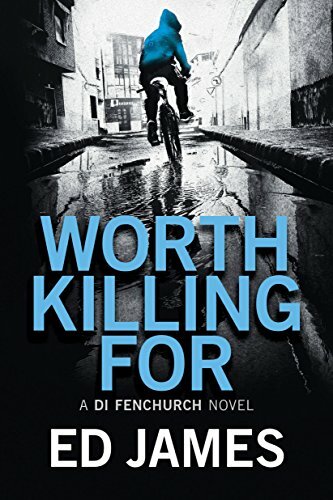 An ex-forces cop investigates dark and devious sexual crimes around Edinburgh and beyond. Sister series to the Cullen books. Vicky Dodds. Single mother. Commitment-phobe. Detective Sergeant. Curious and unique crimes set in Dundee and the wider Tayside area. Next book — “FALLEN” (book 2), due 2017. 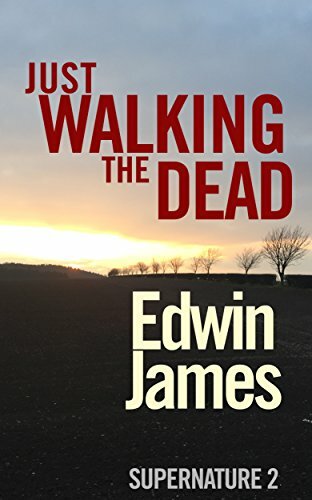 Non-crime fiction books published under the name Edwin James. No future books in the series. Will more of your writing be appearing on iBooks? Can I just say that I am really enjoying your books. I have just started the third book and living in Dunbar can relate to the places around East. Lothian. Keep up the great stories. Thanks for the note, Kirsty. Glad you’re enjoying the books. Erm. 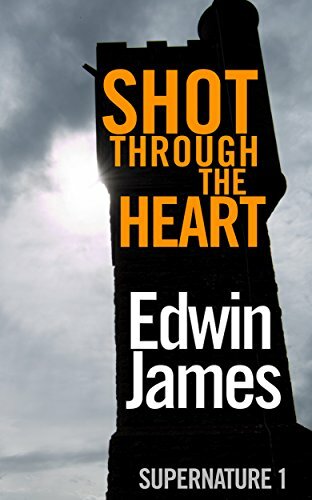 Glad you loved SHOT THROUGH THE HEART… Not sure when book 2 will be done as the sales for book 1 have been a bit disappointing, shall we say. I’m going to repurpose CRASH INTO MY ARMS from being a police procedural with vampires to just a police procedural. Sorry to disappoint but writing a book is a big commitment and I’m not feeling motivated to do any more vampires or zombies as book 2 is going to be. Might change in the near future, you never know. Loved shot through the heart. I was wondering if you were planning on continuing with Marks story. I don’t want it to end. Besides, that was one of the first of your books that I’ve read. Brilliant. As a non Kindle user I have enjoyed reading Cullen 1-4 in paperback however as an old school lover of physical books with a distrust of the electronic format I am eagerly awaiting the opportunity to read Cullen 5. Could you please let me know when I can expect to see a paper version of ‘Bottleneck’? Keep the words flowing and the readers hooked. Yeah, just had some minor issues with the cover. Should be approved in the next few days. Ed, I just finished Ghost in the Machine and posted my review on Amazon and Goodreads. I enjoyed it tremendously and am looking forward to reading the rest in the series. Your site is great since it lets us know all the work you have available. I signed up for your newsletter too so I can keep up with what’s coming out. I’ve read Cullen 1-7 and eagerly await 8. When do you anticipate release? It’s looking like next xmas time, give or take a month. If you subscribe to my newsletter, I’ll keep you up to date. Kindle site. Disappointment doesn’t begin to cover it. Hopefully, it will be published soon? Can hardly wait, having been totally sucked in to the sometimes hapless DS Cullen. (Thank goodness he got promoted!). And, hopefully, Bain will get some sort of comeuppance. I really don’t like him. (See what I mean about getting sucked in?). Thanks for the continued enjoyment of your writing. I’m off now to start another of your series. Sadly, I’ve been sidetracked with a few other things so it won’t be out for a good few months now (not even started it, to be honest). I’m working on the second Craig Hunter book just now, which should be out in the next month or so. It’s got some Cullen in it, like the first one does. It’ll be May or June before the eight Cullen book, I reckon. Hope you enjoy the other books and I’m really pleased you like the Cullen books so much! Hi Liz, I too live in North Northumberland and I too am eagerly awaiting number 8. 3rd November. Sincere apologies for the delay! Just read Snared , brilliant! When do you anticipate the next in the series will be ready ? Glad you enjoyed it! There’ll be some news on that very soon. Got a lot of plates spinning just now, but there will definitely be a second Dodds book. Either late this year or early next. 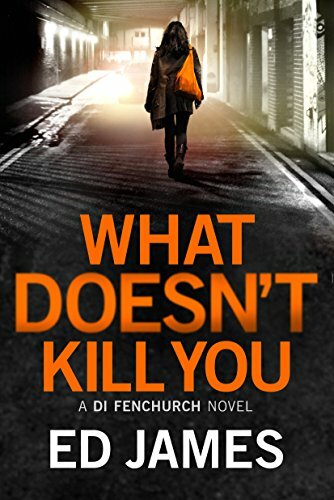 I downloaded DI Fenchurch series on kindle for myself. Somehow I got a free download on audible fo book one. My 14 year old son started listening on audible, he’s registered blind. So prefers audio. He listened before I started reading. He loved the book so much I paid for the remaining books in the series. He loved the books. He listened to them one after the other. I’ve finished two books so far. I presume there are only three? He tried to tell me the ending. Which sounds like there are only three books. I managed to stop him. Although he has hinted heavily what happens. Secondly are all of your books on audible? He’s a big fan. I’m enjoying them too. Something to discuss with him too.